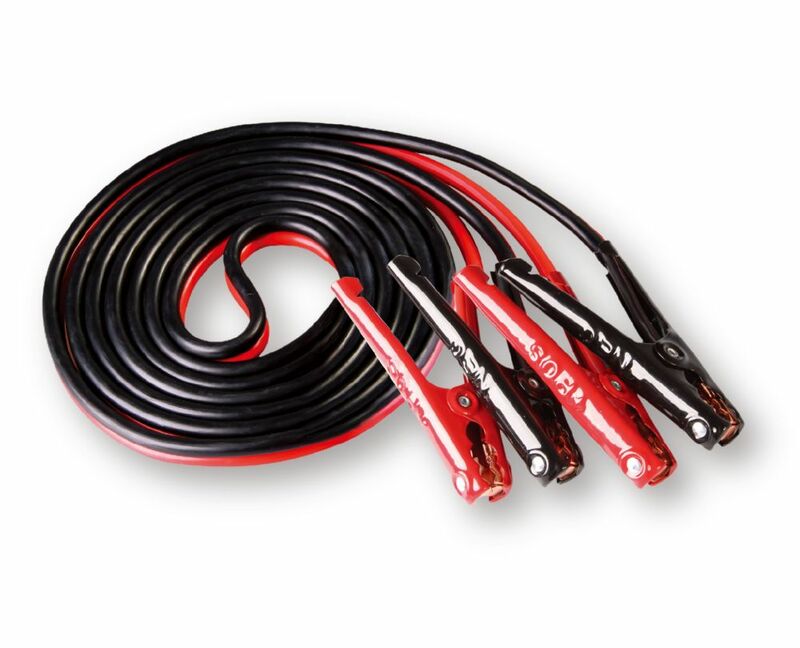 Use these Husky vinyl-coated 12 ft. 8-guage UL-Listed booster cables for better endurance. Easy use for emergency situations. Fit for both top and side terminals. Energizer ENB420U 4-Gauge 20 Foot professional series UL listed heavy duty jumper - booster cables. Ideal for all vehicle types plus full size trucks, vans and SUVs. Red/black PVC-coated insulated clamps for easy identification. Tangle-free cables remains flexible even at -400F. Heavy duty copper clad aluminum. All weather use. Energizer ENB616U 6-Gauge 16 Foot professional series UL listed heavy duty jumper - booster cables. Ideal for all vehicle types plus full size trucks, vans and SUVs. Red/black PVC-coated insulated clamps for easy identification. Tangle-free cables remains flexible even at -400F. Heavy duty copper clad aluminum. All weather use. 12 ft. 8-Gauge UL-Listed Booster Cable Use these Husky vinyl-coated 12 ft. 8-guage UL-Listed booster cables for better endurance. Easy use for emergency situations. Fit for both top and side terminals. 12 ft. 8-Gauge UL-Listed Booster Cable is rated 4.5 out of 5 by 17. Rated 3 out of 5 by HomeDepotCustomer from The price is right, a much needed item in any... The price is right, a much needed item in any vehicle for emergencies you can't beat the price. Rated 2 out of 5 by Raymond from Small gage for distance I returned this item as per my mechanic recommendation. I understood that it is too small of gage . I have purchased a 2 gage 20’ instead. Rated 5 out of 5 by Aman from Gets the job done Cables are everything you would expect. Minus a case to keep them together.